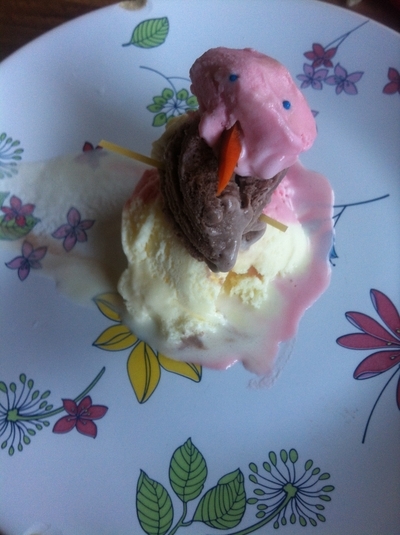 This is a totally cute spin on the classic icecream dessert. 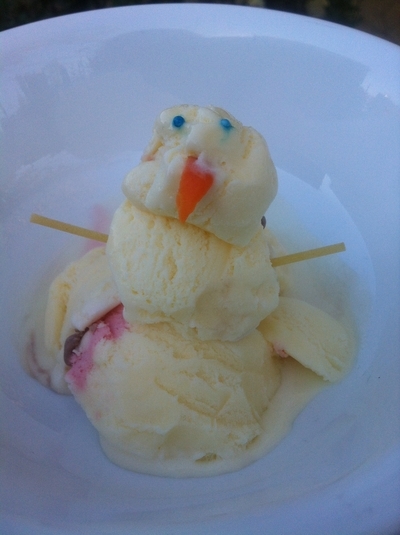 Easy to prepare, you can even get the kids to help decorate these little guys. Just get in fast and eat before they melt away! 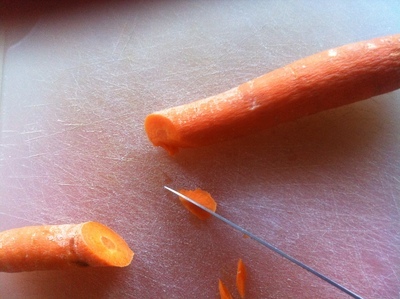 Cut the carrot wedge into a small, nose shaped triangle and set aside. 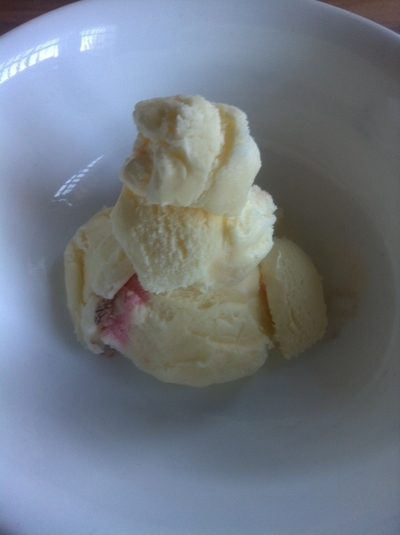 Scoop the icecream into serving bowl. 1 large scoop, followed by a medium scoop, followed by a small scoop for the head. You may need to shape the smallest scoop gently to get it round enough to resemble a head, unless you have icecream scoops of differing sizes. Decorate quickly with two 100s and 1000s for eyes, the carrot wedge for a nose and the stick of pasta cut to size for arms. Where have you been in Europe?